Michael Millett qualified as a hypnotherapist in 1995 and is a hypnotherapy supervisor for some years. He was in London in successful private practice for more than 17 years, and is here now in Grantham`s Town Centre (off street parking) since December 2011. Visit the Main Hypnotherapy area serving the East Midlands and Lincolnshire for Hypnosis for ALL problems and issues. professional and right up to date. Using modern clinical hypnotherapy combined with cognitive behavioural therapy, EFT, and NLP with Dr. Michael Millett's approach - these results improve considerably for you in the high 90 percentages ! This Entire Web Site is protected by COPYSCAPE. Please do not commit plagiarism of any material! If you have made the decision that now is a good time to quit smoking in Grantham, you have come to the right place (Elevated Therapy in Grantham). Using the powerful and proven methods of Hypnosis, NLP and EFT you can reprogramme your mind and body to stop smoking permanently and painlessly! Futhermore, unlike other methods that you may have tried before, this method will help you stop straight away... with no anxiety, no withdrawals, and no weight gain! You can Stop Smoking... Easily, Naturally, and Permanently! My "Natural Non-Smoker" session allows you to stop smoking in 2.5 hours. This programme uses the magic of your mind for FABULOUS results and is all natural! helps eliminate the desire and craving for cigarettes or other types of smoking, such as cigars. In addition it aids in strengthening your will-power and self control. continue having more energy and vitality. We are all intelligent enough people to realise that there is no defense to the smoking habit. We are knee-deep in medical reports, anti-smoking advertisements, and the ever increasing and (be truthful, now) extremely annoying restrictions society is placing upon smoking anywhere outside the privacy of our own homes. Isn't it both tiresome and embarrassing to have to trudge out of your office building and stand out in the snow or rain just to be able to light up? Or to keep asking your date or business companion at a restaurant to excuse you while you "step outside for a few minutes"? Or to stand in your own garage with the garage door open (of course) because you now live in a smoke-free house? Yet we keep on doing it. Why? If that were all there were to it, then all those nicotine patches and gums, inhalers, those new prescription drugs, etc. would solve the problem for every smoker every where, wouldn`t it? Oh, how many pregnant pauses, significant silences, meaningful delays, romantic interludes, and power plays have we acted out in our lives with the mere, but intriguing rite of lighting up a cigarette? And you think nicotine is hard to give up??? Let's face it....cigarettes are addicting - both physically and psychologically. The physical is easy to understand...the mental or psychological may be different from person to person....but somehow smoking comforts us when we are scared, upset, tense, anxious or angry. It is our security blanket. It gives us a sense of control over our environment - it makes us FEEL good about ourselves - even when it is killing us! So maybe, just maybe....our love affair with cigarettes and cigars needs to end? What about Now, for example....? Do you notice, when we seriously consider "giving up" smoking we always concentrate on what we have to GIVE UP! Because we associate GOOD feelings....of self, of security, of control, of power - with SMOKING. We don't want to give up those good feelings! So the internal struggle begins. Our intellectual side, our mature side tells us we must quit.... no defense exists for us to do otherwise. Pretty compelling rationale there, you have to admit. But (and this is a BIG "but"), our emotional side, our child-like side, is absolutely freaking out! STOP SMOKING????? ARE YOU MAD???? I CAN'T! Period, end of story! Hence, before we even put out our last cigarette, we are fighting against the mere idea of quitting smoking. Our belief systems have us convinced that nothing, not-one-other-thing on this planet or in the entire solar system, thank you, is going to make us feel as good or as happy as we are when we are smoking. We will never be able to quit. We can't! We want to.....but we just can't....do you understand? Yes.....I do....and I can help. You have to be able to release yourself from BOTH of these addictions and attachments or your will never be able to stop smoking! Patches and pills can only help with the first type of addiction. But, believe it or not, it is the second addiction and attachment that is the stronger of the two. God....I can't stand it.....I'm going to rip somebody's head off if I don't have a cigarette in two minutes! What a stupid idea! How did I ever think I could quit! I hate everybody. It`a awful! I'm pathetic....I can't do this! I need that cigarette now! God...am I a failure, or what??? Hear all the negative chatter? That is how the individual really perceives himself/herself - as a pathetic failure who cannot possibly quit the smoking habit. And he/she is ANGRY about it. No matter the sincerity of the good intention to stop smoking....if your inner belief system sees yourself as a smoker who cannot possibly quit...it ain't gonna happen.....I don't care how many patches you wear or pieces of gum you chew!!! So you have to change your perceptions of yourself from a smoker doomed to fail each attempt at quitting into that of a natural non-smoker who has no interest or intention of picking up a cigarette or cigar ever again. You have the power to quit smoking without turning into an angry, crazed, ready-to-chew-nails-and spit-them-at-anything-that-moves maniac. How? Just CHANGE YOUR BELIEF SYSTEMS. It is as simple as that.....no kidding....no mumbo jumbo. If your internal belief systems "see" you as a non-smoker....you will be one. OK....so how do you change your internal belief systems? How do you get them to make you a non-smoker? By seeing me for my 2.5 hour STOP SMOKING SESSION in Grantham which costs £175. Hypnosis places you in an altered mental state and works with you unconscious mind with new and positive ideas and images. In other words, hypnosis or consciously directed thought gets right to the root of your negative belief systems and starts the process which awakens the positive belief systems which are in all of us. Once awoken and utilized, there are no limits to what you can achieve. I also use techniques, which are based on how the Mind and Body learn and communicate called Neurolinguistic Programming, or NLP for short, together with EFT (Emotional Freedom Techniques) which deals with emotional, physical and performance disruption in the body`s energy field and has been proven successful in thousands of clinical cases. It applies to just about every emotional and physical issue you can name and it often works where nothing else will.. These methods used together produce fast and lasting results. Remember, repeated focus on an image, thought, behaviour or result will manifest itself and become automatic. An example of this is learning something new --- a new game, sport, language, etc. We focus on the desire, we repeat the process and we achieve results. Call Michael for a FREE telephone consultation or to make an appointment. Before I see you for your appointment, I would highly recommend that you get yourself the book "Smoke Free and No Buts". Easy to read, clear, concise and to the point - a "no-frills" book with only 88 pages! Anyone who wants to quit smoking should read this little book. 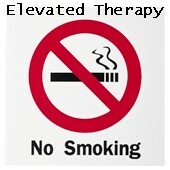 This will start the `elevated` process in your mind before you visit me for our smoking cessation session. It encourages you to think about how different you will be and how things in general might change when you are an ex-smoker and also how you will do things differently. "By the time you reach your giving-up day, smoking will have become so tiresome that you will be desperate to stop." You Will Be Thrilled To Be Free Of Tobacco. the Social Stigma of smoking and happy to be a NATURAL NON-SMOKER. Please note that a £80 deposit will be required from you after making your appointment (this can be taken by credit or debit card over the phone including American Express). The full session costs £175. This deposit is not refundable unless I have at least 48 hours notice to re-schedule or cancel the appointment. Appointments can be made by email or by telephone. On booking, a £80 deposit request will be sent to you by email to use the PayPal service if you prefer this method to make your deposit. The majority of my clients stop smoking after just one session with less than 5% requiring a second session. However, if a follow up session is required, within the crucial 30 day period, there is no extra charge. My name is Dean Newton, I came to you in January 2004 in London for a Smoking Cessation Session. Since then, I have not smoked or even felt a single craving. I now wake up in the morning, feeling energised and happy, whereas while I was a smoker, I felt groggy and it took about 15 minutes to wake up. It really is amazing, especially when you consider that I was on a 30 a day habit. Article ~ What is Hypnosis? Giving up Smoking The official NHS web site providing information and support for those wanting to quit smoking. ASH: Action on Smoking and Health is a London-based charity providing information on all aspects of tobacco. It campaigns to reduce the unnecessary addiction, disease and premature death caused by smoking. Contains excellent on-line documents and teaching resources. QUIT is the UK National Charity which helps people to stop smoking. It exists to offer practical assistance and advice to the UK's 12 million smokers and set up the smoker's Quitline in 1990. QUIT also produce literature, act as a source of information on cessation for professionals and conduct high profile publicity campaigns. They pioneered No Smoking Day in 1976 and continue to be a key partner in this and other awareness initiatives. GUIDE this guide sheds more light and is all about the long-term effect of smoking. No Smoking Day is a partnership of national organisations concerned with smoking cessation. Here in the UK, National No Smoking Day is on the second Wednesday of March, every year. 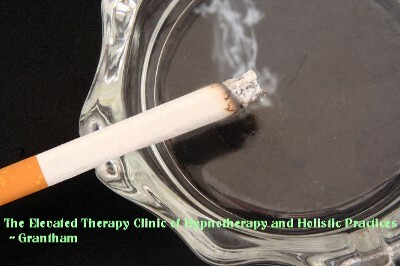 Stop Smoking Hypnotherapy Grantham, Stop Smoking Hypnotherapy Newark, Stop Smoking Hypnotherapy Sleaford, Stop Smoking Hypnotherapy Boston, Stop Smoking Hypnotherapy Spalding, Stop Smoking Hypnotherapy Nottingham, Stop Smoking Hypnotherapy in Nottingham, Stop Smoking Hypnotherapy Stamford, Stop Smoking Hypnotherapy Lincoln, Stop Smoking Hypnotherapy in Lincoln, Stop Smoking Hypnotherapy Peterborough, Stop Smoking Hypnotherapy in Peterborough, Stop Smoking Hypnotherapy Melton Mowbray, Stop Smoking Melton Mowbray, Stop Smoking Grantham, Stop Smoking Nottingham, Stop Smoking Lincoln.